Coenzyme Q10, an antioxidant, is made naturally in the body and is found in every cell. Levels tend to decrease with age or in the presence of certain diseases. There is good scientific evidence that Coenzyme Q10 may be effective for chronic heart failure and for treatment of high blood pressure, according to Mayo Clinic. It is often used in combination with other herbs. 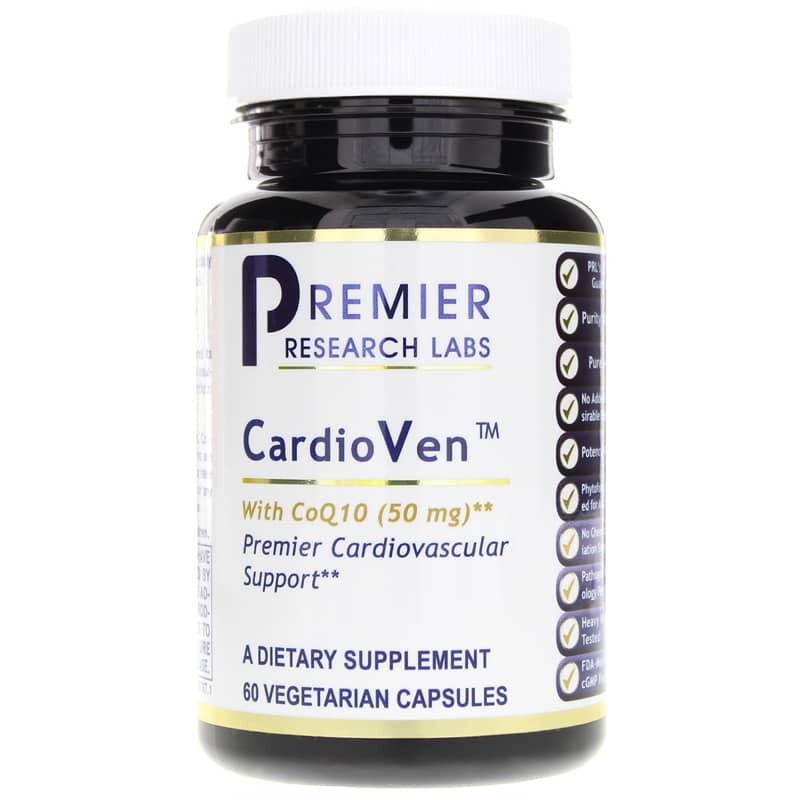 Coenzyme Q10 is a main ingredient in Premier Research Labs' CardioVen, a natural supplement that promotes premier cardiovascular health. 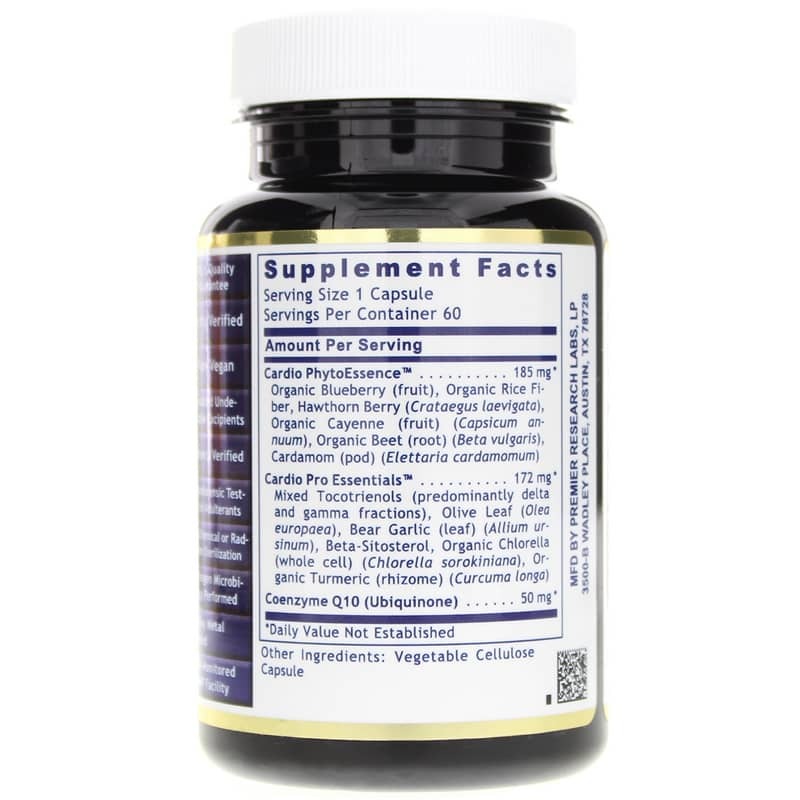 Along with Coenzyme Q10, this supplement contains blueberry, mixed tocotrienols, red algae, bear garlic, garcinia extract, cardamom, beta-sitosterol, cayenne, organic beet, chlorella, turmeric, organic hawthorn and olive leaf extract. 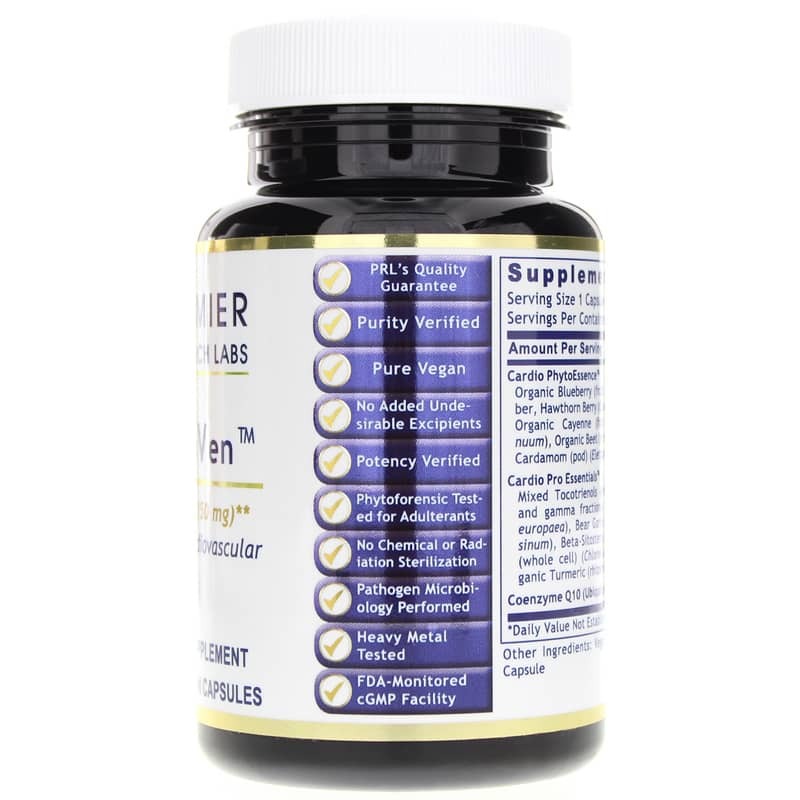 CardioVen may be for you if you are looking for a natural supplement that promotes premier cardiovascular health. Order online today! Coenzyme Q10 (Ubiquinone) 50mgOther Ingredients: vegetable cellulose capsule.